Coin counting machines will continue to carry a strong relevance for financial institutions because it is unlikely that U.S. consumers will stop collecting change any time soon. In June, the U.S. House of Representatives' Subcommittee on Monetary Policy and Trade held a hearing to discuss the future of the penny and nickel due to rising production costs, The Washington Times reported. 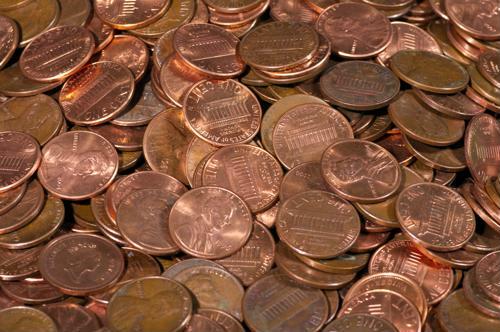 Citing U.S. Mint statistics, the article stated that a penny costs 1.8 cents to make, and a nickel is 9.5 cents. This has led to a debate over whether these coins should be kept in circulation because they are the only change denominations that cost more to produce than they are worth. Some people believe the penny and nickel should be retired. However, the House subcommittee voted to keep them. Even though electronic payments and debit card transactions are becoming more common, it's unlikely that they will replace the tendency to use cash and coins for small-value transactions, according to The Washington Times. While the House discussed the possibility of changing the metal composition of the penny to lower production costs, it is unlikely that the process for the penny will be modified. The Mint is considering different options for a zinc-steel combination for nickel. The metal composition of most coins was changed by the Mint in 1965 to utilize more copper, but now the costs of this metal have sharply increased, according to Orlando, Florida news publication My News 13. Eliminating pennies and nickels would mean some retailers have to round up to the nearest dime to accept payments from customers who want to pay with cash. Shoppers may be frustrated with this shift. Whatever the results of changes to coin composition, it's important for banks and credit unions to continue to offer self-service coin counters for customers who want to cash in their spare change.